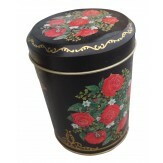 Many years ago decorative tins were made in many unusual shapes. 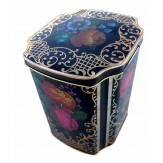 The skill of tradesmen printing bright patters and scenes on a sheet of metal, cutting out the forms, joining them together by crimping the pieces together with exact precision, and assembling the cover and the top to perfectly match - that was an art. 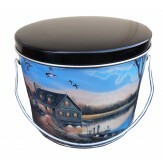 Over the years most of these craftsmen have retired, died, and their companies have gone out of business or merged. 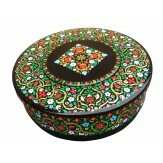 Their craftsmanship is lost and most of their works will never be replicated. 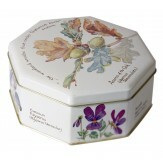 For over 35 years we bought these tins directly from these plants and filled them with holiday nuts in a wide selection. 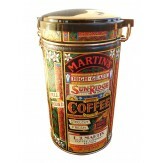 Over the decades we had left over unused tins that were carefully stored. 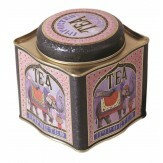 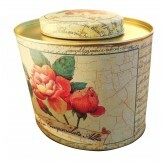 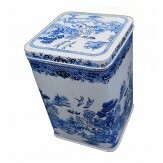 Now we are offering this very unusual and collectible selection of the most unusual lithographed tins for you to buy. 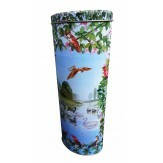 Once they are gone - if is unlikely that you will find them offered by any other firm. 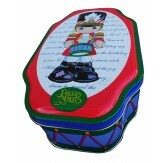 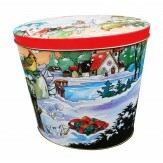 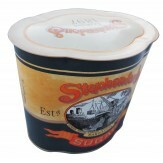 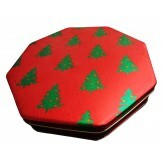 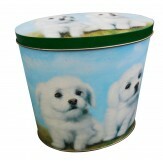 Our supply of any particular tin is limited so buy them now or you may miss out on a very special opportunity.